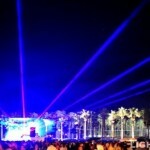 The 2009 Coachella Music festival illuminated with the world's largest full-color laser; audiences were wowed by a stunning fusion of amazing live musical and laser performances! 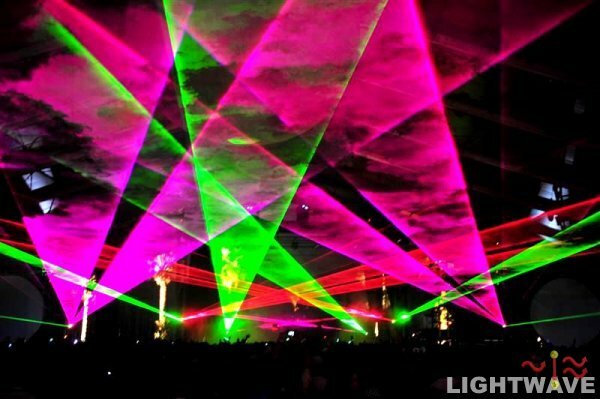 160,000 attendees experience a massive 38W full color laser out-beaming an array of 7000W xenon fixtures, and an arsenal of the world's most advanced entertainment lasers illuminating on-stage performances for: Ghostland Observatory, Girl Talk, The Presets, The Chemical Brothers, TRV$DJAM, MSTRKRFT, Christopher Lawrence, Late of the Pier, and Groove Armada. 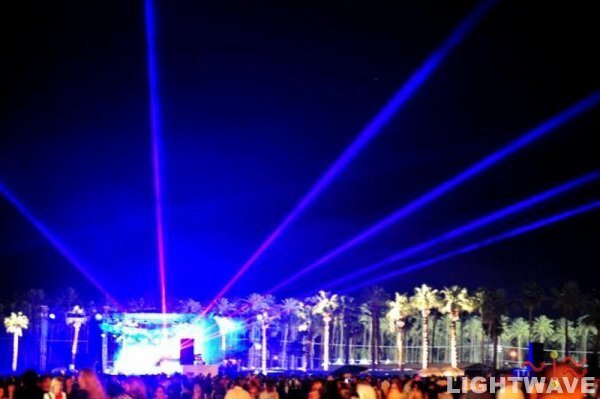 The 2009 Coachella Music festival illuminated with the world’s largest full-color laser; audiences were wowed by a stunning fusion of amazing live musical and laser performances! 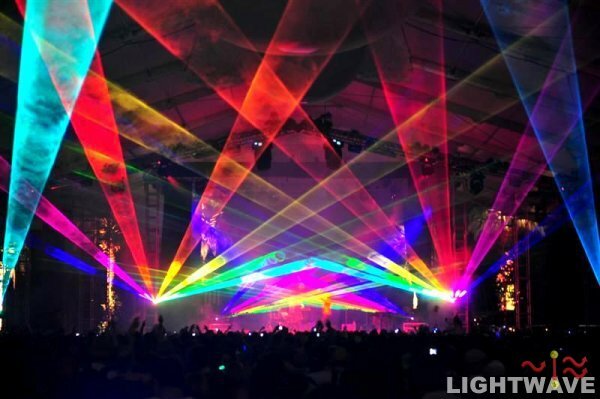 160,000 attendees experience a massive 38W full color laser out-beaming an array of 7000W xenon fixtures, and an arsenal of the world’s most advanced entertainment lasers illuminating on-stage performances for: Ghostland Observatory, Girl Talk, The Presets, The Chemical Brothers, TRV$DJAM, MSTRKRFT, Christopher Lawrence, Late of the Pier, and Groove Armada. 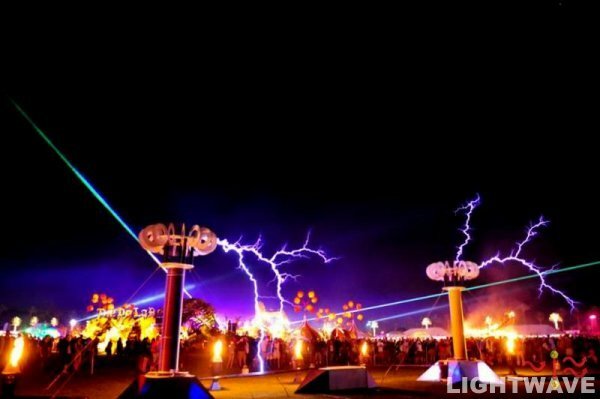 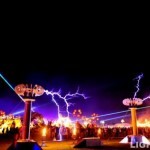 A pair of giant tesla coils send sparks dancing in the sky, accompanied by powerful colored laser beams. 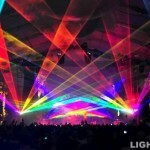 The mix of sound from simultaneous stage performances resonates in every direction. 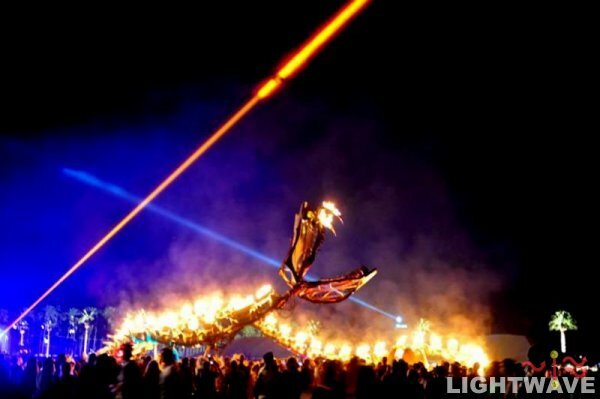 Amazing fire breathing art installations are found at every turn, amidst unique geometric arrangements of LEDs, lighting, wood, and metal: This is the Coachella music festival. 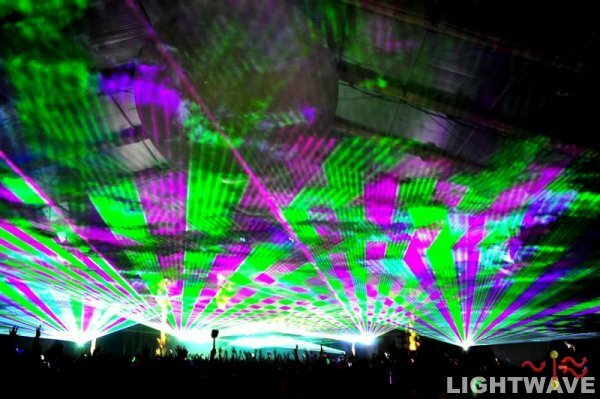 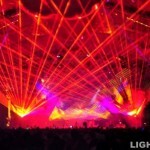 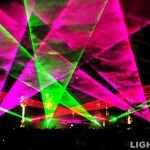 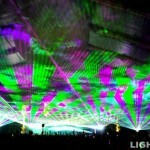 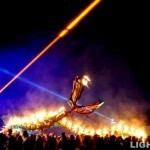 Lightwave provided lighting for the event, and intense lasers for Ghostland Observatory. 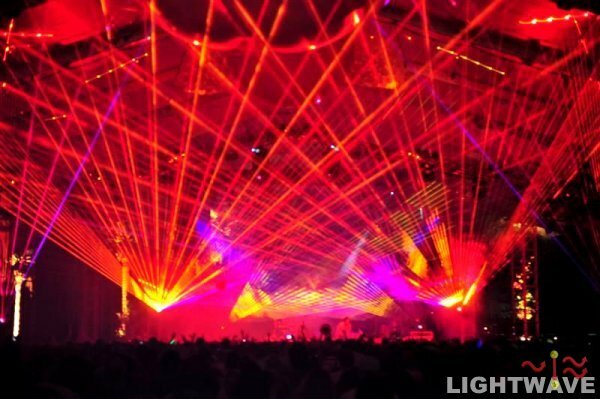 Laser design for Ghostland Observatory earned Lightwave a 2009 ILDA Award – Second Place in the Live Performance category.